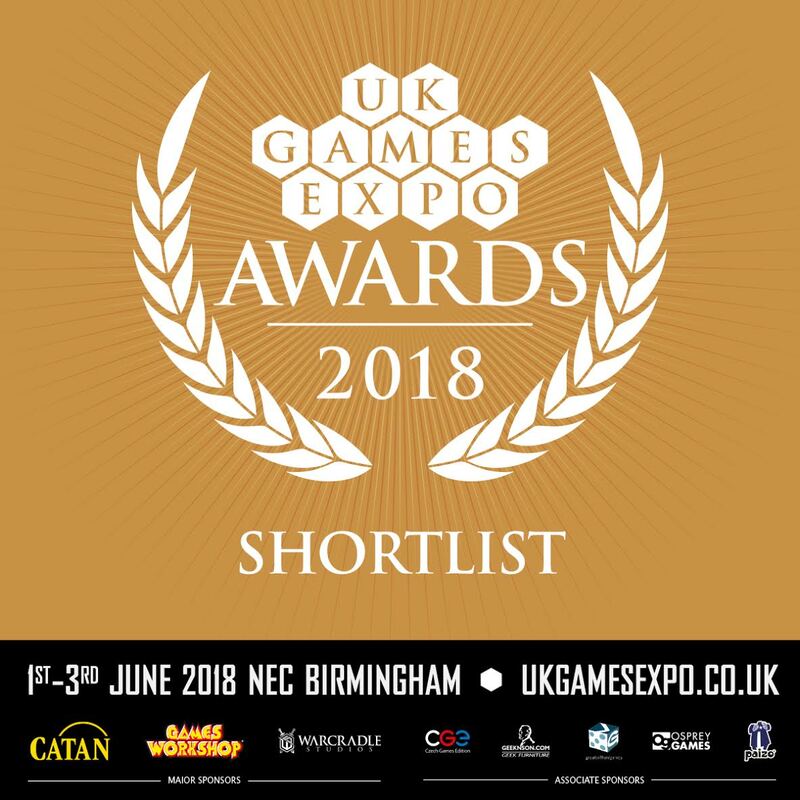 The Cthulhu Hack: Three Faces of the Wendigo has been nominated in the Best Role-Playing Adventure category at this years UK Games Expo Awards to be awarded at the event that runs from 1st – 3rd June 2018. The adventure supplement takes the Wendigo myth – filled with supernatural horror, the wilderness, unfettered hunger and the darkness within – and presents three investigations written by three different authors with their own personal spin. As The Cthulhu Hack runs fast and light, these adventures can all be run in a single (or maybe two) sessions, offering a ready dose of unsettling horror. The unsettling horror for me would be that I’m shortlisted against two Chaosium adventures for Call of Cthulhu! As a self-published game designer entering the third year of publishing The Cthulhu Hack I am thrilled to have been shortlisted for this nomination and I ask for your support. As an attendee at the event, you hold the key to the success of everyone shortlisted and I hope you will support Just Crunch Games (and my publishing parent All Rolled Up). What can you expect from Three Faces of the Wendigo? John Almack goes down a traditional route, setting hunters against the myth laid down by Algernon Blackwood. In the depths of the wilderness, who is the hunter and who the prey? Richard August sets off into the mountains, setting the primal urge to protect against the darkness that taints the human soul. You have the means to bring justice but do you have what it takes? While my own investigation finds a modern village on the edge of the wilds, seeking balance in the face of hard times. When you’re stranded in the back of beyond, who would turn down warmth and hospitality from a proud but hard-bitten community? You will find physical copies of the book available from the All Rolled Up/Just Crunch Games stall at UK Games Expo orw you can order it from the All Rolled Up web store. Alternatively, you can grab the PDF of Three Faces of the Wendigo from RPGNow and benefit from their current May D&D Sale – as The Cthulhu Hack runs off a familiar Old School base system!